Fairlawn Primary School is a highly successful and happy school in Forest Hill, SE London. We have 470 students between ages 4 and 11. Last year, we ran our first Hackathon - a whole day coding and making event for all our Year 6 students. This day was parent-initiated and funded and was hugely successful - a day of excitement, competition and hands-on learning! This year we know what we need! All tech and making materials will be used for the hackathon and then provided to the school for continued learning. 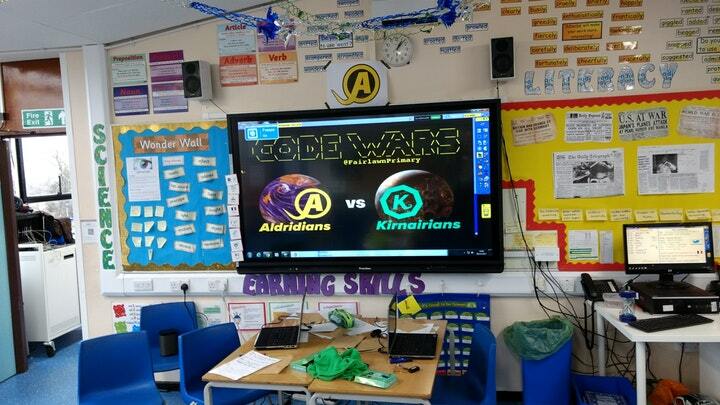 The day culminates in a KS2 assembly where each planet showcases their progress and final battles take place before a winner is announced. In six years' time when our Year 6 children enter the workforce there is a 65% chance that the work they will do hasn't been invented yet. Studies show that children who have at least three positive experiences with technology learning are more likely to consider a career in technology. The Hackathon is a mechanism to help teach our children to become creative thinkers, risk takers, doers, makers of things. It is an opportunity to bring our parent community expertise into the classroom to support learning.